There are several strong tracks from Louisana’s Anla label already on these pages from the likes of Ike Porter, Charles Greene and Big Daddy Green. But these two numbers by Adam Cormier are long overdue for attention. 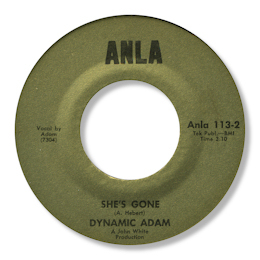 His initial 45 She’s Gone was a dead slow ballad in the classic southern style. Adam’s voice wobbles and cracks with the anguish of it all, helped by strong harmonies from his group the Excitements. 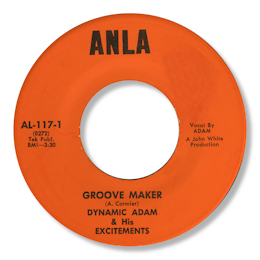 Groove Maker is very much in the same vein and may well have been cut at the same sessions. Raw? Yes. Crude? Also yes. But emotionally compelling – certainly. And I’ll take that over sophistication any day. Cormier may well be white – and related to other Cormiers like Lionel and Lesa who both led the famous Cajun Band the Sundown Playboys.